Summer has either started or is about to start for kids in Brooklyn. At our house, this means stacks of books, gleaned from library shelves in preparation for hot, lonely, idle hours at the beach, in the car, between plans. 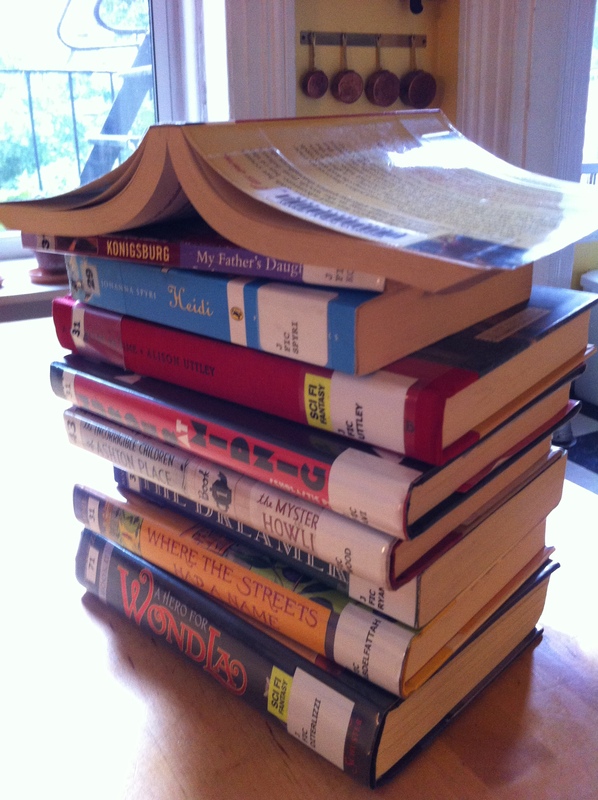 Perhaps you’re worried that your kid’s book stack is too small? Here’s a recap of Ada and my middle grade Picks-of-the-Week—all 40 of them!—in reverse order. Happy summer reading everyone!